The Smart Women Company sells useful household items with fun and interesting sayings. 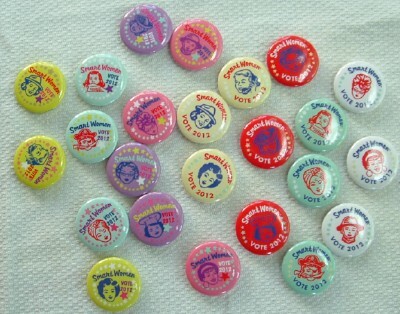 For example, their stickers say “Smart Women Stick Together,” and their matches say “Smart Women Light the Way.” Their shop also has a sizable selection of products promoting voting for women. The products all have illustrations in a mid-century classic style that reminds us that women have always been an important part of society. 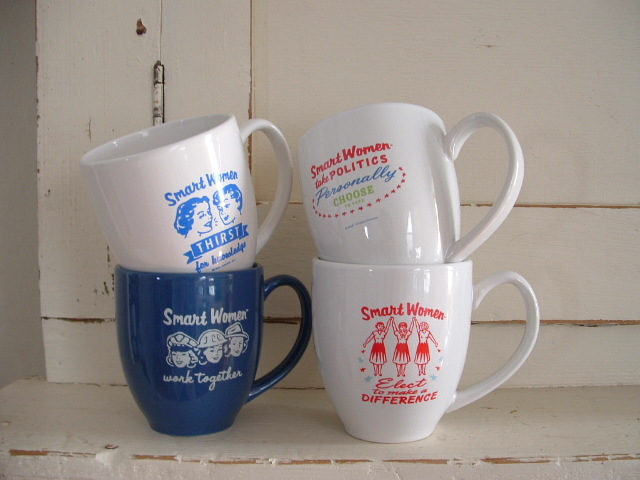 Here at GeekMom, we’re giving away four Smart Women voting mugs and a deluxe pin pack. The four Smart Women Take Politics Personally mugs say: Choose to Vote, Elect to Make a Difference, Thirst for Knowledge, and Work Together. The lucky winner will receive all of the items. The giveaway starts today, and will go until Monday, October 29, 2012, at 6pm Pacific Time. To enter, comment on this post. Be sure to include a valid email address and a comment on the importance of women voting. One random winner will then be chosen. I can attest to the quality of the Smart Women products. I’ve been shopping on their site for years. My favorite Smart Women possession is my Elect to Make a Difference mug. Perfect for a hot cup of tea this time of year, perhaps on the morning of Election Day before you go out to the polls. Comment below to enter the giveaway! Note: We are getting very close to the 100th anniversary of the 19th Amendment to the United States Constitution. Yes, women have had the vote for less than 100 years. Let’s all remember to celebrate in 2020!